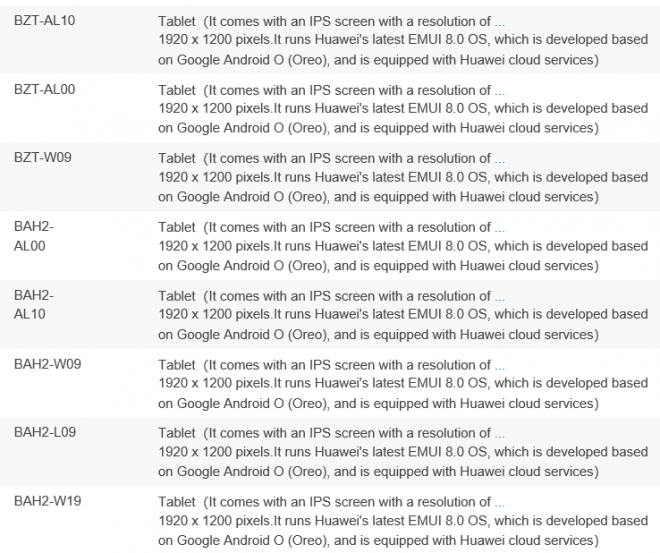 Some new Android 8.0 tables from Huawei that will be a little cheaper than the Huawei Mediapad M5 series have started to see its FCC approvals published. Meanwhile in Italy, what may have been a slip up (if not disregard of embargo date by media), have had Huawei apparently send out an Italian press release on two of these tablets, the Huawei MediaPad M5 Lite and MediaPad T5. These two tablets will succeed the Huawei MediaPad M3 Lite 10 Huawei Mediapad T3. The spec upgrades are pretty small if we are to believe the apparent press release, with HiSilicon Kirin 659 processor, 1920 x 1200 resolution, 2GB and 3GB RAM options Android 8.0 + EMUI 8.0, full Wi-Fi cover, with optional 4G TE and optional Huawei M-Pen Lite support. The price would then start at €200 for the T5 and €300 for the M5 Lite. 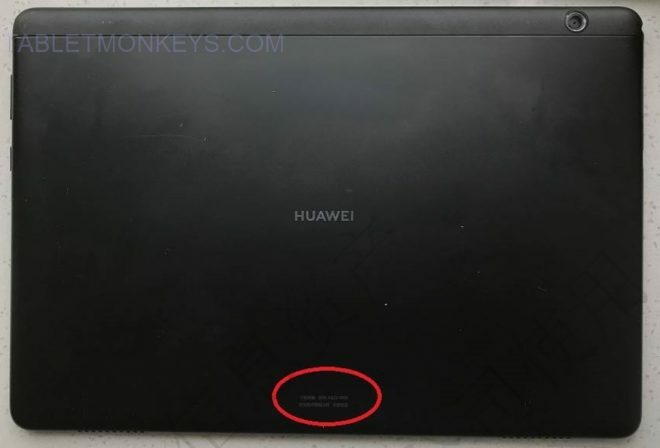 Huawei have had 8 iterations of Android 8.0 tablets Bluetooth certified this week with 1920 x 1200 resolution, but one of these tablets, the MediaPad T5 10 were not certified this week judging by the model number AGS2-L09, so more Huawei tablets are to come in 2018.